We’ve received quite a few questions about what ADB is and how to use it. In the hours that passed after the post about custom ROMs for the Xperia X10, we saw enough come in to merit a post. So, we thought it might be worth helping out you out and answer a couple of questions. Although ADB features a lot of complicated functions, we’ll just do the basic stuff, assuming the average Android user has no need to know about debugging your applications, right? We could immediately start with the functions, but because you can’t do anything without the ADB program, here’s where to find it. ADB is a part of the Android SDK, the program developers use to develop their application. You can find it here. Just select the right file for your computer (Windows, OS X or Linux) and unzip it. OK, now we’re ready to get started. Navigate to the folder where you unzipped the SDK and follow this path: “android-sdk_r07-windows\android-sdk-windows\tools” Here you see a whole lot of .bat and .exe files, but for now, the only one interesting is adb.exe. When you launch adb.exe, nothing happens. A little screen pops up and disappears as soon as it popped up. So we’ll have to open it another way. If you’re on Windows, do this: Click Start > Run > cmd. Now you’re in the Windows Shell, a little remain of the oldskool MS-DOS. Now type: “cd “the directory where you put the SDK”\android-sdk-windows\tools. Now you’re in the folder where ADB is located. You’re probably thinking: “Are we done yet?” The answer is, yes we are. 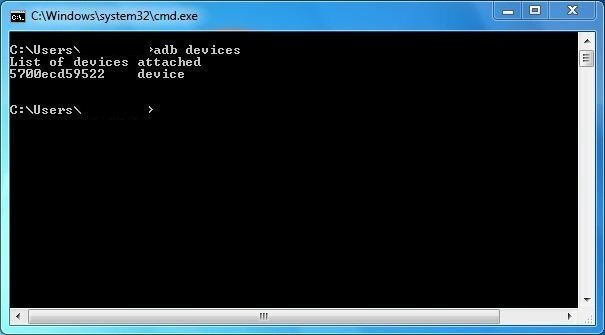 Now you know how to reach ADB and how to execute commands with it. Always remember to put “adb” in front of the command you want to use, unless “adb” is included in the command.